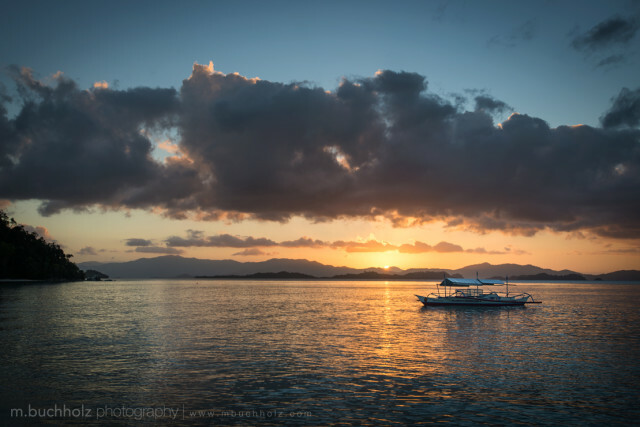 A traditional Filipino bangka (banca) boat sits anchored offshore of San Vicente on the island of Palawan in the Philippines. Bangkas (or bancas) are the traditional wooden boats of the Philippines, which you’ll see scattering the coast anywhere you travel. They’re characterized by their double-outrigger style, which provides enough stability that the vessel itself can be kept long and narrow, and therefore more hydrodynamic. These boats are still very popular today in the South Pacific, and are used for anything from transportation to commercial fishing.